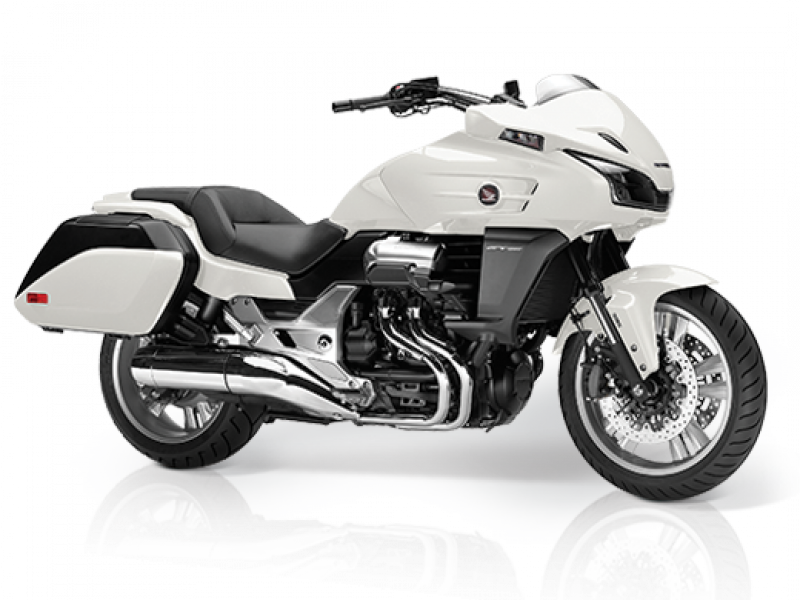 Many riders appreciate the combination of cruising style and 'real world' practicality that a custom touring machine can offer. 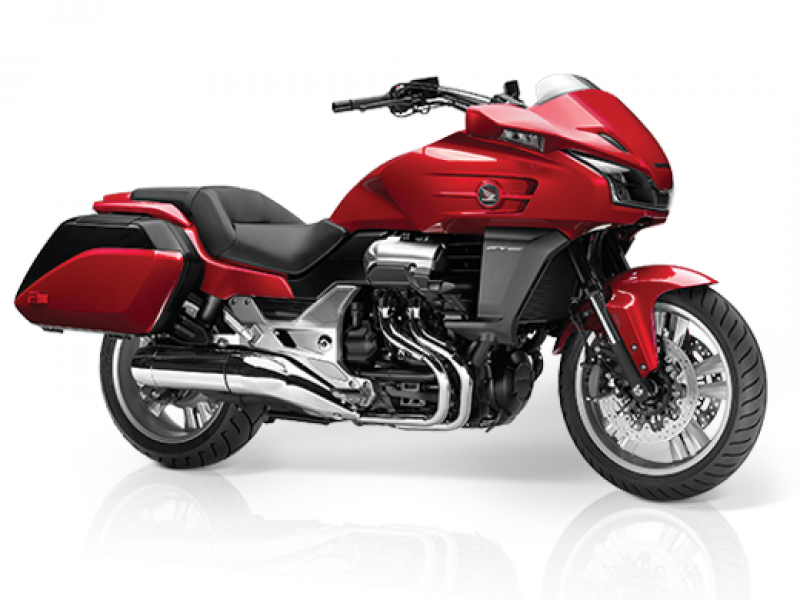 In response to a growing trend - mature motorcyclists wanting more ability, power, performance and a higher specification than a 'traditional' air-cooled V-twin bagger-style cruiser, Honda has combined the best attributes of both touring and cruiser motorcycles and come up with a unique proposition: the new CTX1300. 'C' stands for Comfort, which equals easy-to-access driveability and usability, with low noise at speed and excellent stability, low seat height, easy ground reach and relaxed riding position. 'T' is Technology: a characterful and high-torque V4 engine, Honda's Traction Control System (TCS), Combined ABS, LED lights and self-cancelling indicators plus a twin-speaker Bluetooth stereo system. 'X' is eXperience - smooth and enjoyable all-round performance and cruiser-style riding position. 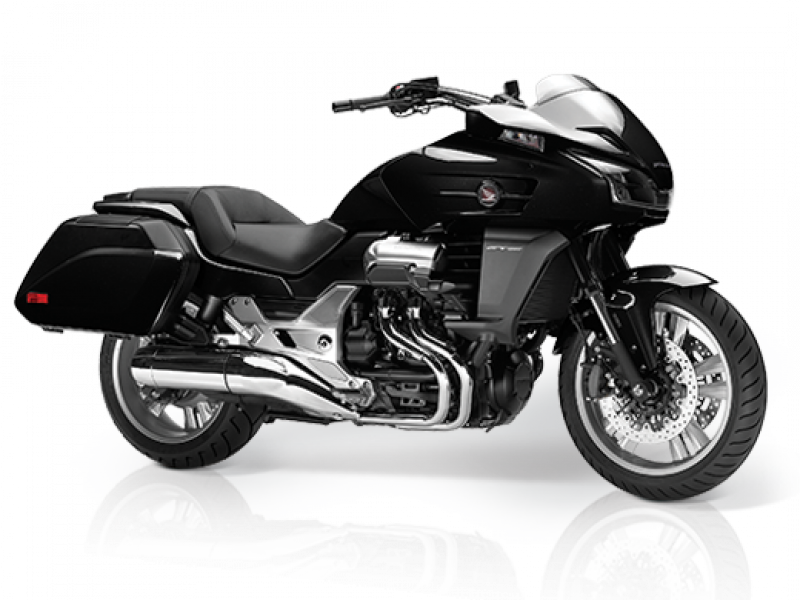 The CTX1300, with all of these qualities, is a unique proposition designed to fit neatly with many riders' desires and expectations. Type Front: 43mm inverted front fork (USD). VPL Terms and Conditions: New retail CTX1300A orders from 01 July 2018 to 30 September 2018 and registered by 30 September 2018. Subject to model and colour availability. Representative Example based on 3 years 6.9% VPL; Offers applicable at participating dealers and are at the promoter's absolute discretion (excluding Channel Islands). Indemnities may be required in certain circumstances. Finance is only available to persons aged 18 or over, subject to status. All figures are correct at time of publication but may be subject to change. Honda Franchise Dealers are credit brokers, not lenders. Credit provided by Honda Finance Europe Plc. Cain Road, Bracknell, Berkshire RG12 1HL. Honda Financial Services is a trading name of Honda Finance Europe Plc. a company registered at Companies House No 03289418. Honda Finance Europe Plc. is authorised and regulated by the Financial Conduct Authority, Financial Services Register number 312541. PCP Terms and Conditions: New retail CTX1300A orders from 01 April 2019 to 31 July 2019 and registered by 31 July 2019. Subject to model and colour availability. Offers applicable at participating dealers and are at the promoter's absolute discretion (excluding Channel Islands). Representative example based on years 6.9%% PCP. Excess mileage rate applies. You do not have to pay the Final Payment if you return the bike at the end of the agreement and you have paid all other amounts due, the bike is in good condition and has been serviced in accordance with the Honda service book and the maximum annual mileage of 4,000 has not been exceeded. Excess mileage rate applies should this be exceeded. Indemnities may be required in certain circumstances. Finance is only available to persons aged 18 or over, subject to status. All figures are correct at time of publication but may be subject to change. Honda Franchise Dealers are credit brokers, not lenders. Credit provided by Honda Finance Europe Plc. Cain Road, Bracknell, Berkshire RG12 1HL. Honda Financial Services is a trading name of Honda Finance Europe Plc. a company registered at Companies House No 03289418. Honda Finance Europe plc is authorised and regulated by the Financial Conduct Authority, Financial Services Register number 312541.